Google was founded by Larry Page and Sergey Brin while they were Ph.D. students at Stanford University, and was formally incorporated as a privately held company on September 4, 1998. You know there's more to something than meets the eye when such a massively successful company has such a simple layout though, and I mean that in the best way possible. Google has always done things a little bit differently, and that works to keep things fresh, immersive and consistently progressive. 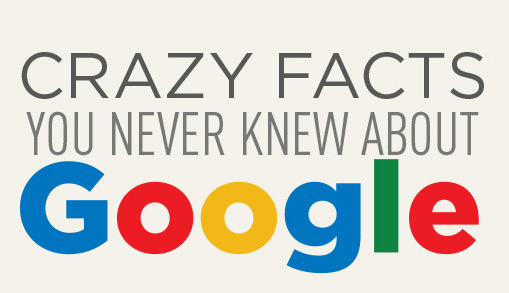 Here are some Google facts you may not know! Google has turned into so much more than just a search engine, bringing out innovative ideas and trying out new things on almost a daily basis. It's hard to imagine where they'll venture next, though I'm more curious to know what the next Google Doodle is going to be!